I have an Anycubic Kossel Linear Plus from new as part of a university research project and is my first experience with a delta style printer. The build was straight forward and I had it printing quickly. I soon noticed vibration issues in prints, particularly when printing along the X-axis and the Z-tower motor was running slightly slower than the other two. I have done a lot of interneting but not found a solution to my particular problem. I have, however, implemented some suggested fixes for similar issues to no avail. • Effector wobble/vibration along the X-axis or components involving X movement. The frame itself does not appear to vibrate. • Z tower motor moves slower than the others whilst printing and noticeably when the Z carriage takes the second homing pass. All motors/carriages move at the same speed when the effector is moving in Z direction. • Print times are much longer than estimated in Repetier host using Slic3r PE. I know it's not always accurate but an estimated ~9 min print should not take ~16 mins. I suspect this is due to the slow Z motor and is my biggest issue. • Changing firmware to Marlin 1.1.9 (https://www.thingiverse.com/thing:3071086) and following calibration instructions. • Tuning stepper motors to ~0.8V. • Lowering acceleration/jerk settings and making sure X,Y,Z firmware values are equal e.g. steps/mm. • Swapping X,Y and Z stepper drivers. A 5th unused stepper driver was also included on the board and tested. • Replacing stepper drivers with new ones (A4988), again tuned to ~0.8V. • Have checked mechanical aspects (bearings, linear rails, belts). Belts are tight and everything runs smoothly by hand. • Added vibration damping in the form of thick foam under the printer and detached the PSU from the frame (printer is very quiet now). • Checked the diagonal rod length and altered in firmware as it was slightly too long. All rods appear equal in length ±2mm. • Checking the 'squareness' of the printer frame. • Currently printing frame supports to increase frame rigidity as suggested in another forum post. I have experience with 3D printers and have built my own D-bot but have come no closer to solving the problems or even understanding what causes them. I'm lost as to what to try next aside from replacing the main board. Prints are of good quality (aside from wobble) and the machine lays down a reliable first layer. My project does not require particularly accurate prints but I will be printing many samples which will be affected by the limited print speed. Edited 1 time(s). Last edit at 03/13/2019 10:23AM by Nachomachoman. Do you have set speed on all motors set to the same value? This would have names in configuration like .*FEEDRATE_[XYZ]. * or something like that. As well as check that all jerk and acceleration settings are the same for all the towers. Try to lover segments per second to about 80. Some jerky move can be caused by line buffer underflow. 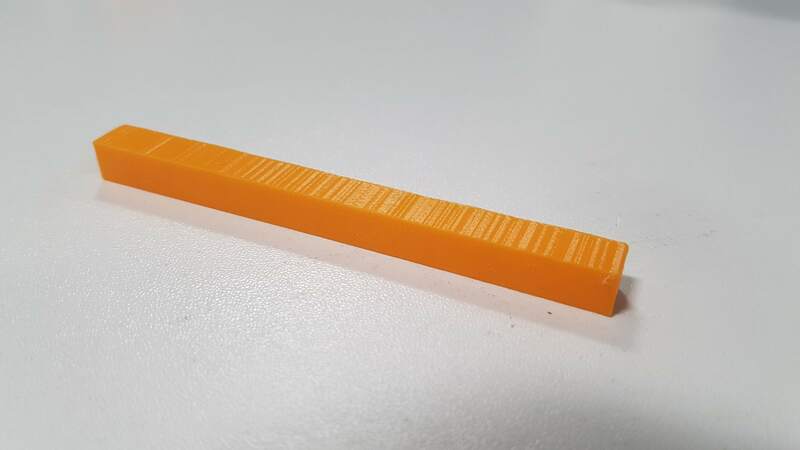 Make sure you printer does not have any play/wobble where it should not be. Any attempt to move hotend or belt by hand a bit must result in a corresponding small move of steppers. As for as the incorrect dimensions:Try to use some least square based calibration like e.g. this or whatever calibration web page DC42 has.